There are two things I can't pass up -- a good sweaty workout and dessert. So when Whole Foods Market came knocking and asked if I wanted to try a few new dessert items I couldn't resist. As we approach the holidays I've continued to maintain my workout schedule, but am really trying to watch my sweets in take. Enter Whole Foods "healthier" options. I'm still able to indulge in a craving, but without over doing it. Alright, let's dig in. 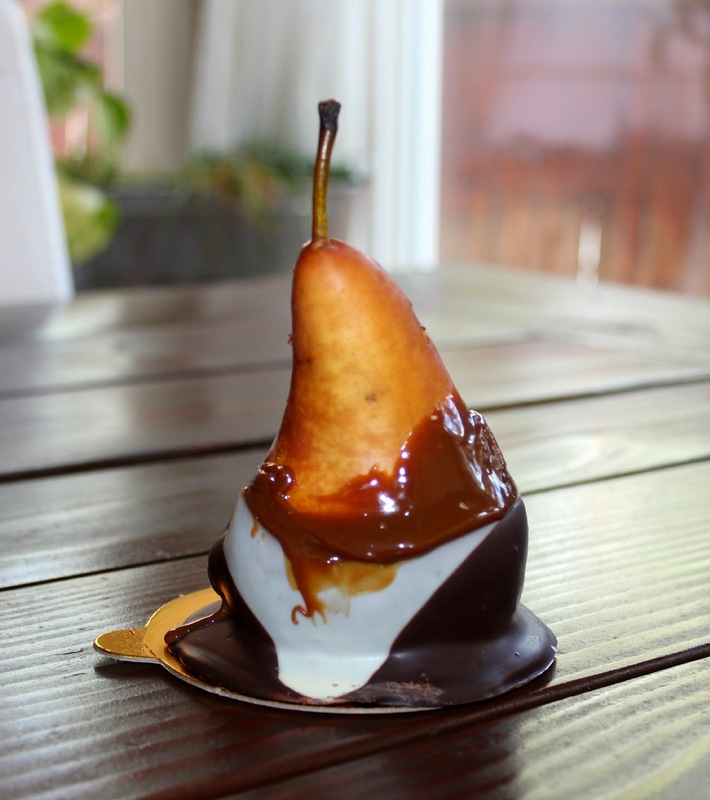 So the caramel might have melted a little in the car ride home and my dog might have managed to eat the "tuxedo" half-- oops, but OMG -- This pear was unreal. Dipped in caramel then two types of chocolate it was a "healthy" party in my mouth. A tad on the rich side for me, but it's perfect for sharing. I sliced the half that wasn't touched and stored it in the refrigerator. Over the course of a few days I enjoyed a slice here and there. I recommend buying a fews and slicing them up for your next get together. I definitely didn't know what to expect and honestly was a little scared. Preggos likes avocado on her toast in the morning. Let's just say I was pleasantly surprised. I don't even know how to describe it other than awesome. When I first opened the jar I thought oh that's going to be hard to spread, but my knife cut through it like butter. It spread across my toast as though it was meant to be. The taste wasn't what I expected, but then I really didn't know what to expect. It was so creamy and tasted like milky coconut with a hint of caramel. 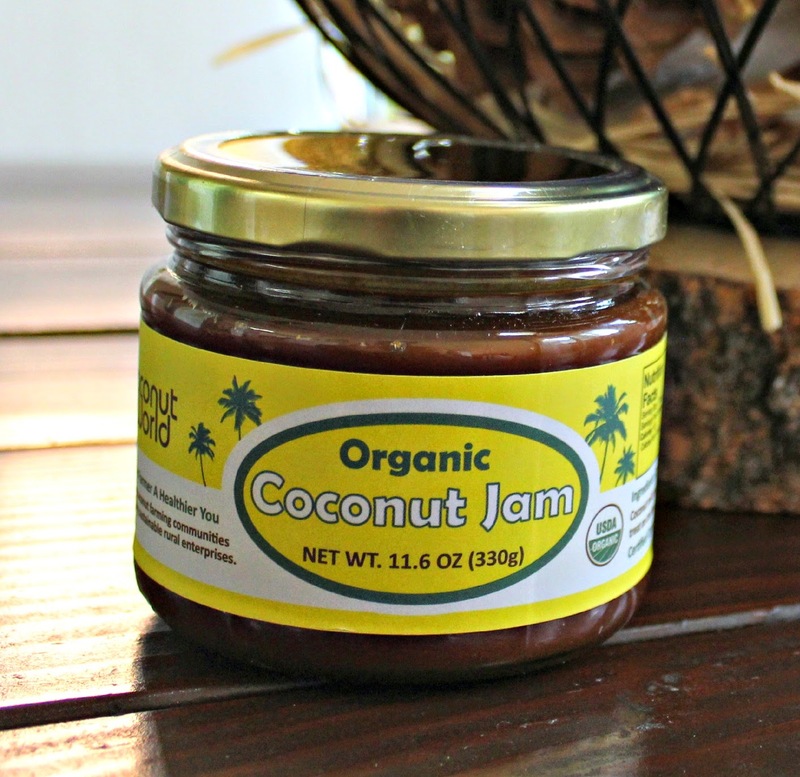 WFM Details: Made from just coconut milk and coconut syrup, coconut jam offers benefits of coconut milk and the low glycemic index of coconut syrup. We think it’s delicious on toast or fruit slices, melted in oatmeal, or as a filling in baked goods. Additionally, Coconut World brings sustainable social and economic development opportunities to families in the Philippines. MSRP: $11.39/16 oz. My husband couldn't wait to make these. I'm not kidding. The same day we picked up the brownies he insisted on making them. We actually spruced up the brownies by adding walnuts and sewi-sweet chocolate chips! Living at altitude we also added flour to the mix. Well they were utter perfection. You would never know they were organic. I personally like the brand madhava and have enjoyed their agave nectar syrup for awhile. 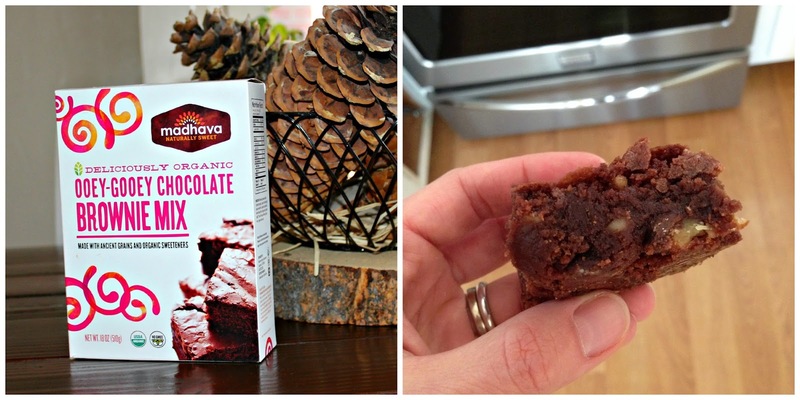 We'll definitely buy this brownie mix in the future. There you have it, a few healthier options to enjoy this season. What are your favorite treats to pick up at Whole Foods? Okay, definitely trying those brownies!! I think they're my favorite dessert so I'd love to have a healthier option!